Looking for Italian food with my oldest near her apartment in Smynings, we remembered that there was Little Azio in the same shopping center as Muss & Turners and South City Kitchen. 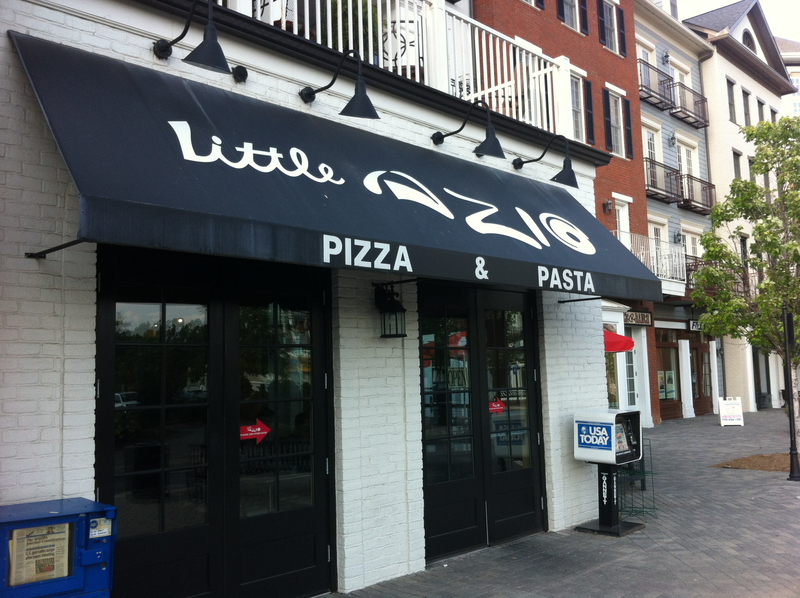 We have eaten at the Peachtree Street Little Azio a couple of times and I recalled it being fairly good Italian food served quickly. 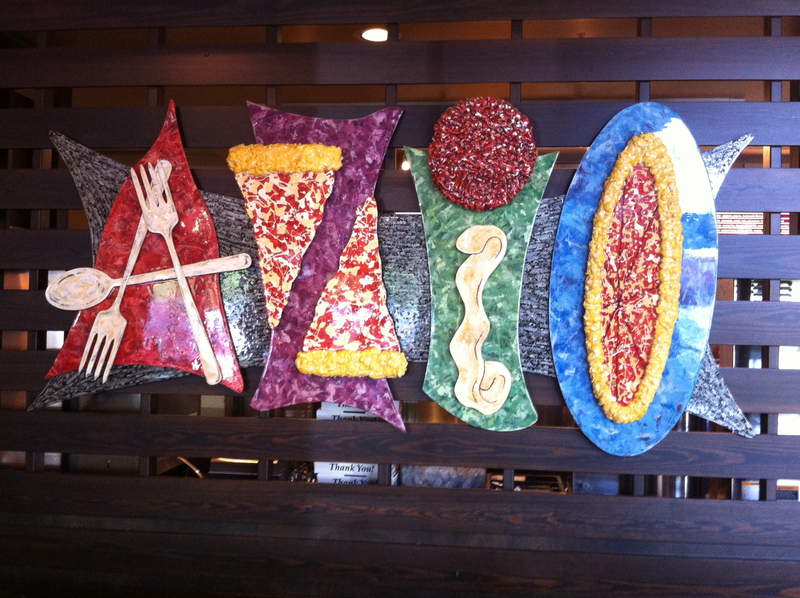 Little Azio is a Atlanta-based chain, formerly with ten locations. According to their web-site, there are five locations currently. 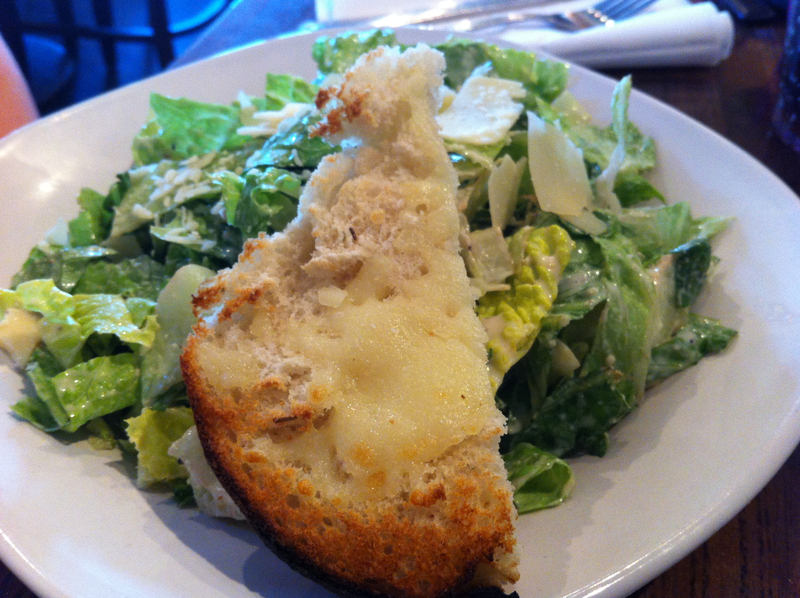 which she followed with Ceasar salad. 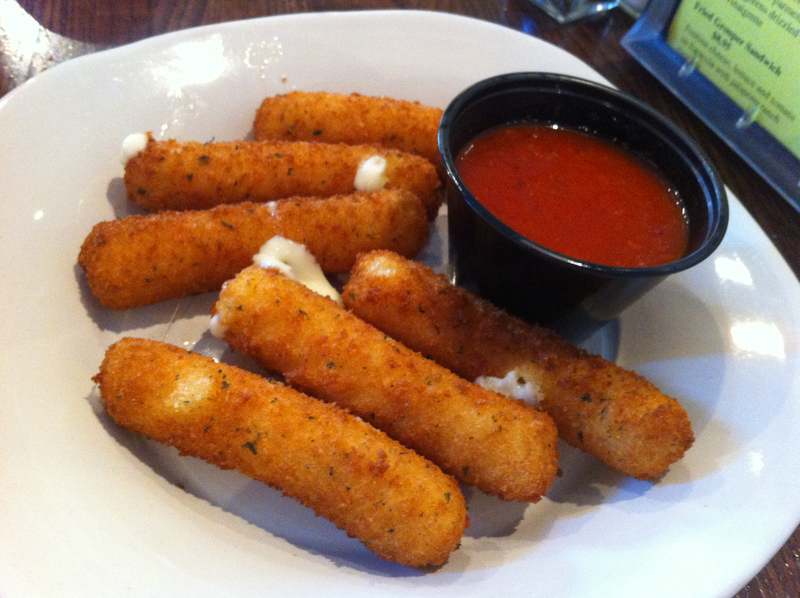 She proclaimed the salad excellent (which means that there was very little anchovy in the mix) and we ate the entire order of cheese sticks. They were perfectly fine – nothing spectacular, but okay. For our entrees, she chose chicken alfredo and I had a meat-intense pizza (with pepperoni, sausage, ham, meatballs and salami). 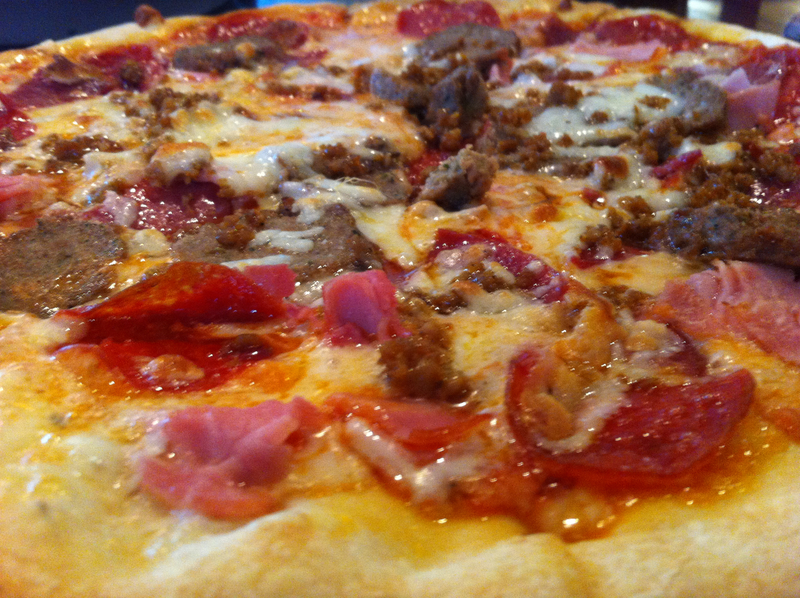 The pizza was moderately thin crust and the tomato sauce was fairly average. She took home leftovers to cover a couple of lunches and we had a good time eating together. I can see tat this would be a good, quick, neighborhood choice, but it’s definitely not destination dining.